Stevie may be a Christmas miracle! 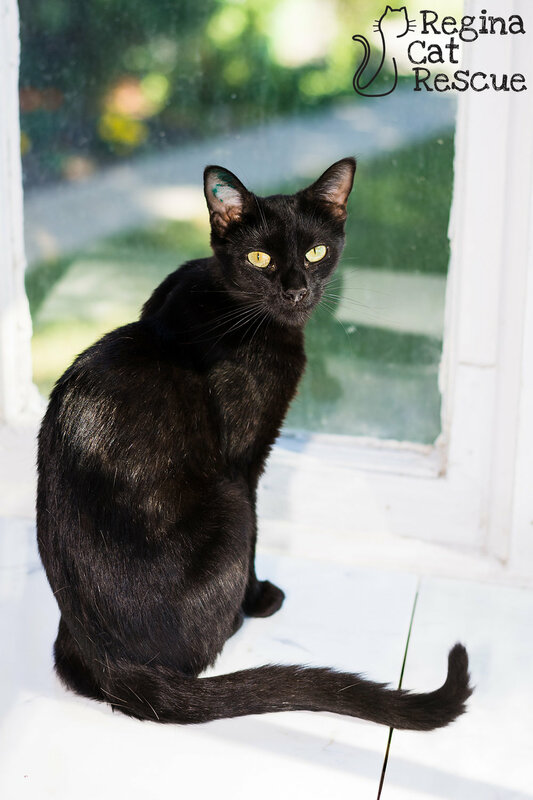 Born on Christmas day, Stevie was nonetheless a homeless kitty until the fateful day when a team of office workers spotted her crouching under cars, scared, hungry, and alone. She was quickly coaxed out, but was unclaimed. Now, Stevie is safe, and with her days of traversing a busy and impersonal world behind her, she’s all set to find her new BFF. Stevie is beautiful inside and out. 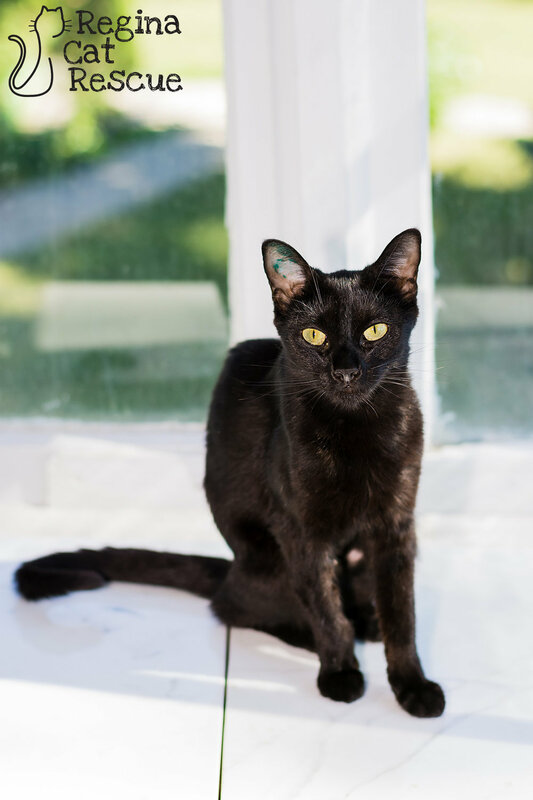 She has sleek black fur and large yellow eyes, and a gentle, sweet, and adaptable personality. 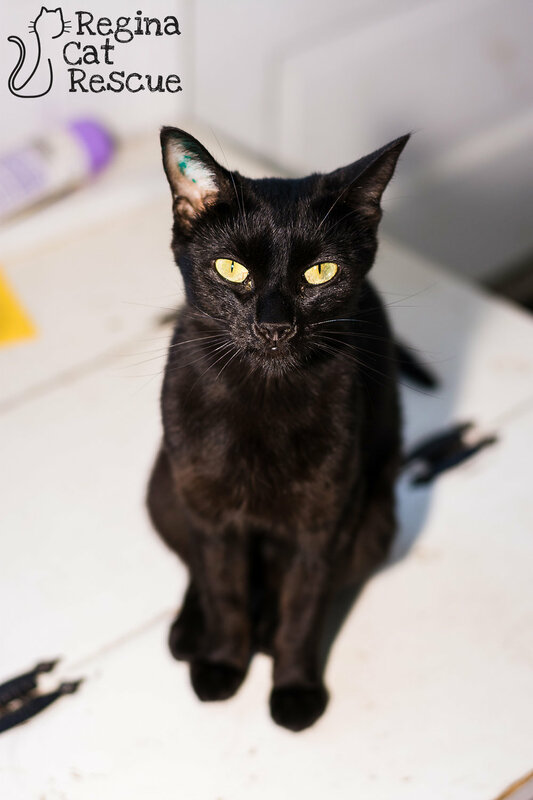 She’d fit in a multi-cat household, as she is also good with other cats. With a good-natured temperment, surely the only thing missing from Stevie’s life was circumstance that left her on the streets. Now, with a second chance, she can find her best friend – and someone out there may find their new BFF, too. 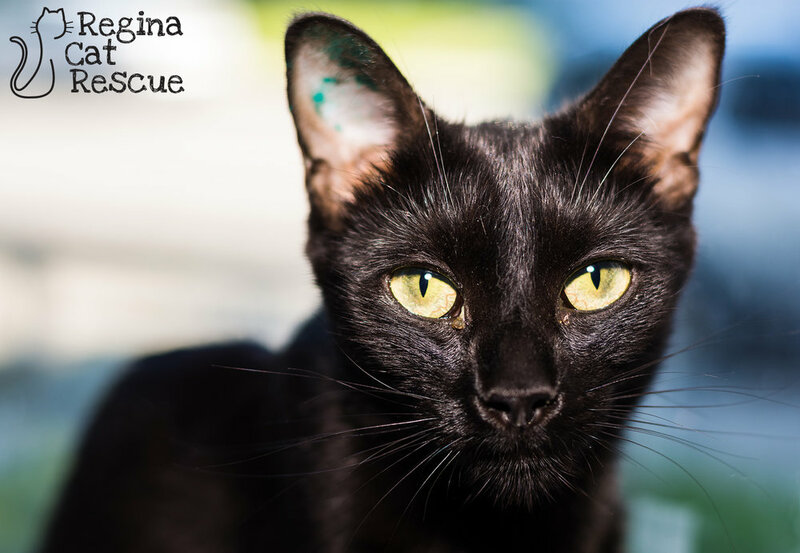 If you are interested in Stevie, click here to view our adoption contract and click here to complete an adoption application or email the RCR Adoption Coordinator at adoptions@reginacatrescue.com for more info.